Today I am dreaming in black, grey, and navy. 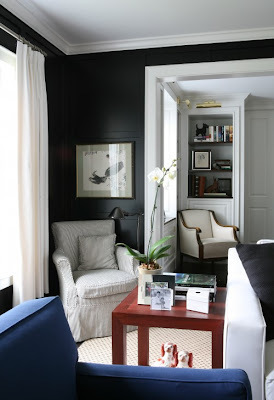 I really like the black walls and white trim. The 3rd picture, with the zebra rug is smart looking. I love the hallway in the third photo. You can never go wrong with basic black; so many ways and colors to accessorize with it. 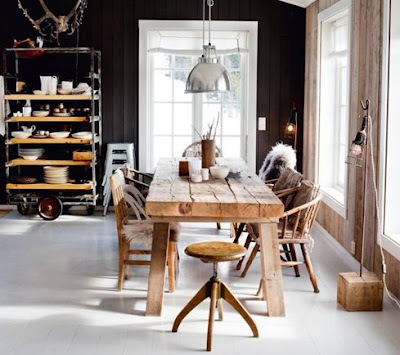 Gorgeous spaces! If I had enough *youknowhat* I'd paint our master bedroom charcoal grey! Thanks for sharing. I love the dark and dream, makes for a cozy feel. 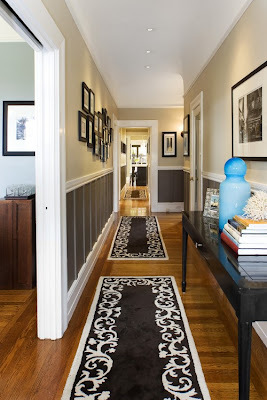 I'd never go so bold in my own home, but I love these pics! Terrific images! Thanks for sharing. 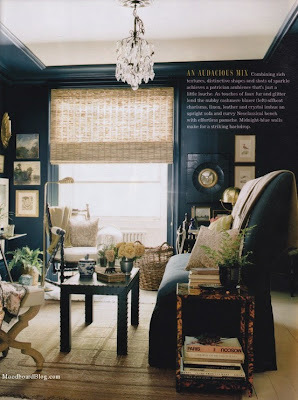 Love these houses Melaine, even though I like light and bright I think every room should have a touch of black to ground it. I absolutely love the use of black, dk gray etc used here. 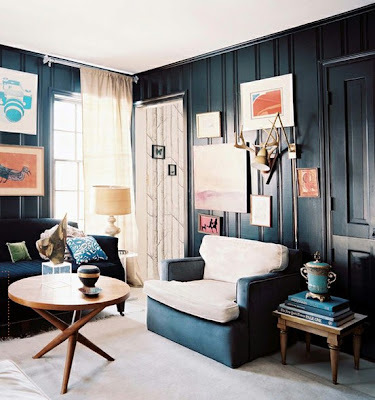 I love to use black in a room. Been contemplating painting all my doors and woodwork black for years. WoW! With the white accents...that look is really floating my boat! i'm kind of craving navy too all of a sudden. weird. i just painted 90% of my house gray owl by benjamin moore. got the idea from our friend jill. she's some good inspiration. now i'm wondering where i can spread some navy. But if the colors you pick are too bold, they might overwhelm the architecture... and upset the neighbors. I'm very attracted to black walls lately. 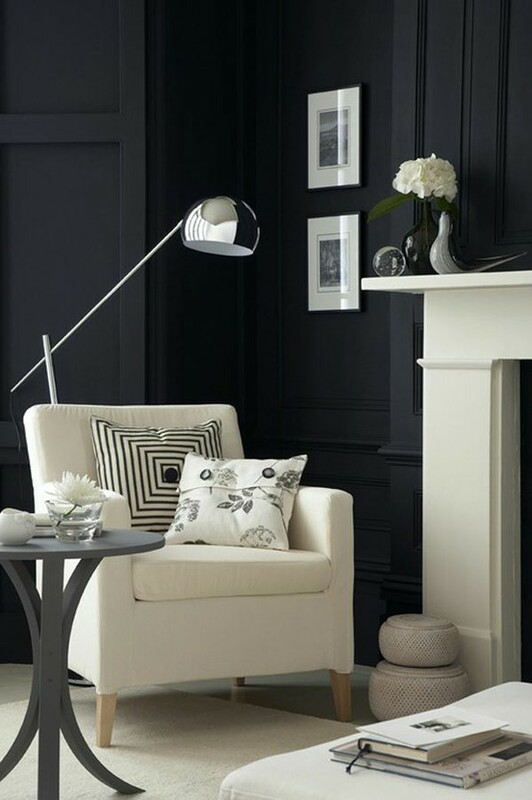 Love the crisp, tuxedo sophistication of black walls with white trim. Great post!